If you’re a fan of Caribbean music in New York and Hurricane Sandy left you with at least one dry outfit, you’re probably headed over to the new Barclays Center in Brooklyn to see some of the best artists in Caribbean music take the stage. From dancehall with Baby Cham to hip hop with Doug E. Fresh to HD soca with Machel Montano, once it’s music from the West Indies, you’ll probably hear it tonight at the Caribbean Fever Music Festival (CFMF). Other acts include Slick Rick, Mr. Vegas, Alison Hinds and reggae family Morgan Heritage, reunited for the first time in five years. “Brooklyn is what we call the Caribbean outside of the Caribbean. There are more Caribbean people here than in the entire Enligh-speaking Caribbean itself. So we thought it would be perfect to showcase all of this at the new Barclays,” said Dahved Levy, organiser of the CFMF. Levy is the host of a top weekend radio show, also called Caribbean Fever, on 107.5 WBLS, the same station that hosts the The Steve Harvey Show. The brand-new Barclay Centre is the home of the New York METs and the biggest stadium in the Brooklyn area, the only venue that can rival Madison Square Gardens, Levy said. He’s been working to raise the profile of Caribbean music in New York by taking it out of corner clubs into high profile venues like the Gardens and Barclays. 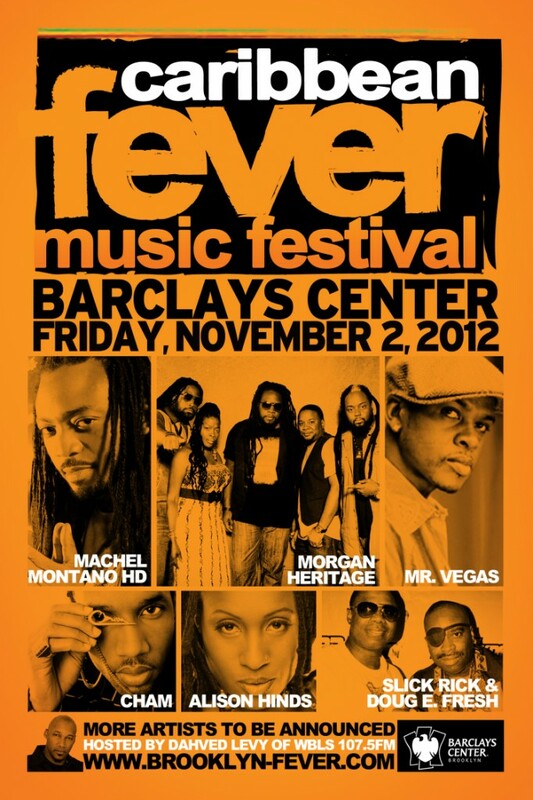 And although tonight’s show is the first Caribbean music show at Barclays, let’s hope that it won’t be the last. Fans, if you were there and you had a blast, let us know in the comments below!